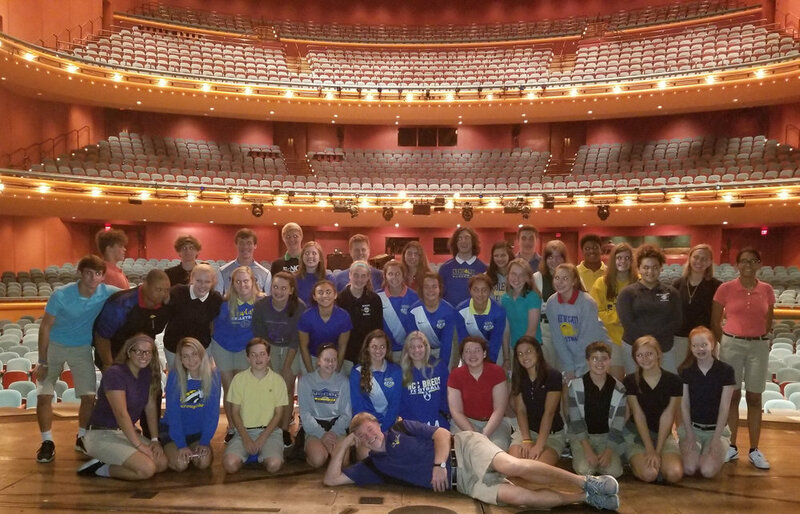 NCC Music Teacher, Mr. Gary Devoto took his Musical Theater Class and Music Classes on a field trip to the Aronoff. The students were provided specific behind the scene details and a private tour of the facility as well as an upfront look of the set "Wicked". Special "thanks" to Technical Director, Mr. Bob Haas, NewCath Class of 1975. Mr. Gary Devoto's Theater and Music Classes receive a private tour of Aronoff and "Wicked" set from Technical Director, Mr. Bob Haas, '75.